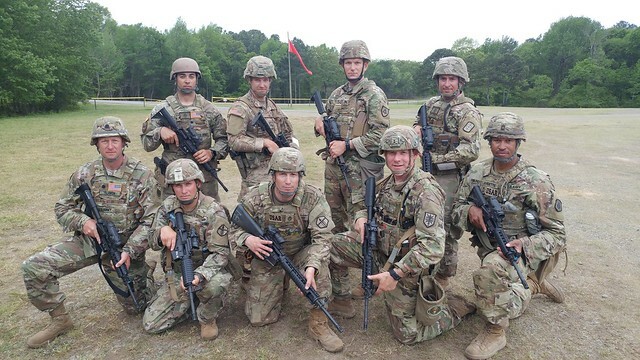 May19 by John M. Buol Jr.
LTC Klawon (OIC) and MSG Burdette (NCOIC) led two teams to the 2018 Armed Forces Skill at Arms Meeting at Camp Robinson. USAR Gold Team was SGT Mercer, SSG Godel, SGT Hall, and SGT Halley. USAR Blue Team was WO2 Knote, SGT Walsh, SFC Braden, and MSG Burdette. Bianchi Battle, USAR Gold took 1st place. Combined Arm Barricade, USAR Gold took 3rd place. Infantry Trophy, USAR Gold took 2nd place. 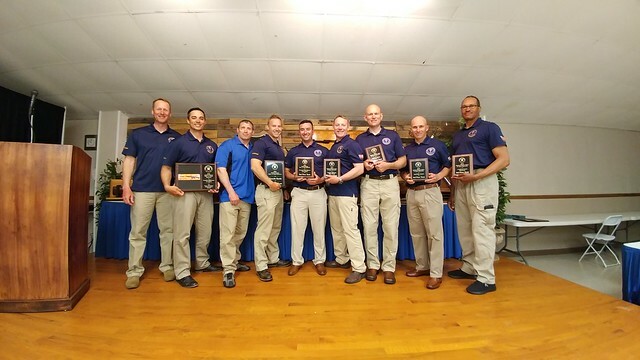 Anti-Body Armor, USAR Gold took 3rd place. Falling Plates, USAR Gold took 3rd place. 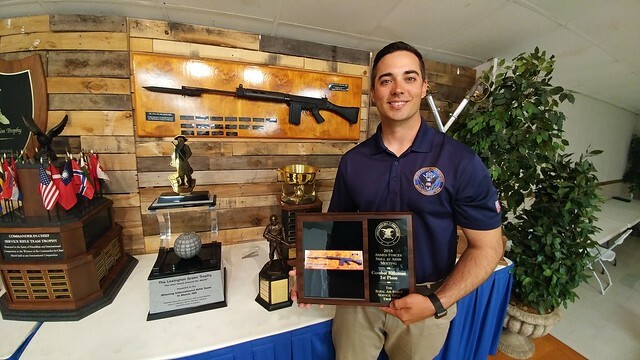 SGT Hall was 1st place RI 3350 Combat Rifleman. SGT Mercer earned 10 EIC points pistol and 10 EIC points rifle and went Double Distinguished. WO2 Knote earned six more pistol EIC points. This entry was posted in Service Conditions-Combat and tagged AFSAM, FY18-summary.